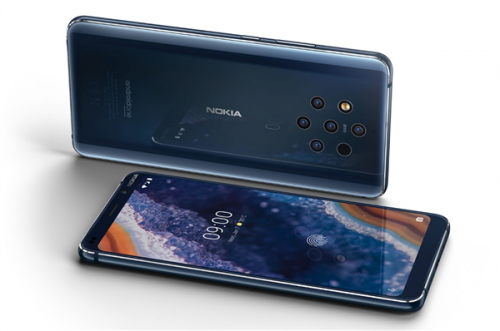 [TechWeb] April 15-at the MWC2019 conference held at the end of February, HMD finally launched the flagship photo-taking flagship Nokia 9 PureView, which features up to five Zeiss cameras behind it. Has begun shipping in many countries and regions. With the latest news, Nokia Mobile phone official announced that Nokia Photo Mobile Media Communication will be held this afternoon, when the new Nokia 9 PureView will be officially unveiled. 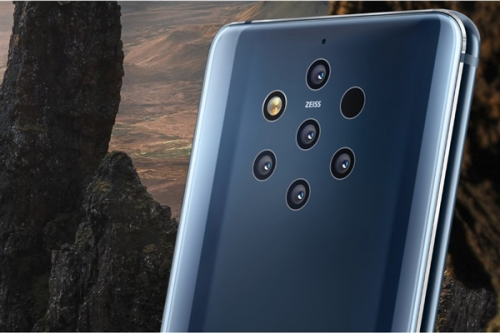 As we all know, the biggest bright spot of Nokia 9 PureView is its rear five Zeiss certified lenses, all of which are 12 million effective pixels, F 1.8 aperture, 1.25 micron pixel size, two of which are in RGB color and three in black and white. When a user takes a picture, five cameras take photos of different exposures at the same time, and then combine the co-processor (ASIC chip), multi-frame synthesis algorithm, output pictures with higher picture quality, and the total number of pixels to be processed is up to 60 million, and supports RAW,. The dynamic range has also reached 12.4 gear. In other respects, Nokia 9 PureView uses a 5.99-inch P-OLED without bangs full screen design, resolution 1440 × 2880, screen accounted for 79.76%. Equipped with the flagship processor 骁龙 845 of the previous generation, equipped with 6GB of memory +128GB storage, support for screen fingerprint recognition. Built-in 3320mAh battery, support 18W fast charge, support Qi wireless charging, support IP67 waterproof and dustproof. As for the price, the price of Nokia 9 PureView in Hong Kong is 4,988 Hong Kong dollars, about 4,300 yuan, and the price of the National Bank version is expected to be around 4,000 yuan. However, it was previously reported that the price of the aircraft was 3,599 yuan. It is still unclear which news is more reliable. The truth will be officially announced after the afternoon communication. We will wait and see.